Today, with a staff of over 85 dedicated professionals providing and servicing a complete range of Personal and Corporate insurance products, our firm has become one of the largest and most respected insurance organizations in Southern Ontario and now ranks in the top 5% of insurance brokerages in Canada. Over 10,000 individuals, families and companies depend on our services and expertise. In addition to personal home and automobile clients, our clientele includes all types of retail, wholesale and manufacturing firms, as well as contractors, associations, professional and service organizations. They range in size from small, family operated businesses to large international firms. We are a “full-service” insurance & financial services brokerage and are proud to be 100% Canadian Owned and Family Operated, with no financial obligations to any of our insuring partners. In addition to our extensive Property/Casualty insurance services, through our integrated Financial Services Department, we provide a complete range of Employee Benefits, Keyman, Pension Plan & Executive Financial Planning services. For individuals, we are leaders in providing solutions in all areas of Life, Health and Estate Planning services. We are also a leading provider of Credit Insurance services. Sherrard Kuzz LLP is one of Canada's leading employment and labour law firms. We represent the interests of employers, unionized and non-unionized, operating in both the public and private sectors. Our clients are domestic and foreign ranging in size and complexity of operations from small, single-location, single-business enterprises to large, diverse, multinational corporations. Our unique approach to the practice of law has earned us recognition as the employment and labour law firm employers come to for practical, realistic, strategic and creative advice. We understand that we are service providers, whose principal mandate is to assist our clients to achieve their business objectives, efficiently and lawfully. Sherrard Kuzz LLP is more than a law firm; our legal team becomes a part of our client's management team. This is our firm's practice philosophy. It informs the way we do business every day, distinguishes Sherrard Kuzz LLP from other law firms and continues to ensure highly successful and lasting client relationships. 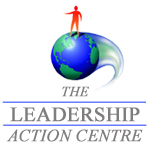 The Leadership Action Centre guides managers at all levels of organizations in creating a leadership culture. The one asset that makes an organization different from its competitors is its human resources - the individuals who look to leaders for guidance and development. The Centre uses a challenging simulation to emphasize both individual and team leadership skills. Working with managers to reinforce positive leadership skills and to negate poor styles, the Centre assists organizations in moving forward to meet today's competitive challenges.